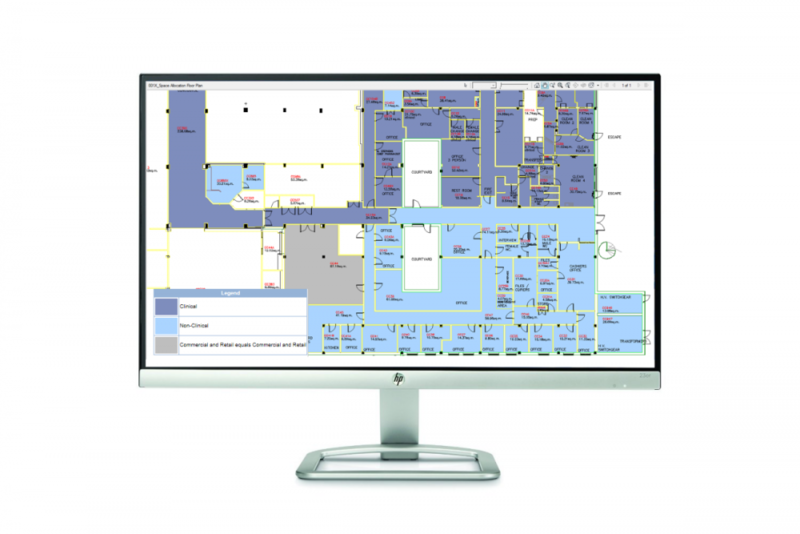 Consolidate space data with CAD floor plans to gain a clear and 100% accurate picture of the space at your disposal. The Micad IPR3.5 space management software enables you to mitigate the risk of void occupancy and rationalise your space to generate a better return on property assets. Would you like to know why our space management software stands out? Micad believe that accurate up-to-date space records are a prerequisite for any successful property strategy. For this reason, the Micad Internet Property Register (IPR) is a powerful multi-user space management software application that can be driven using CAD plans to create a dynamic space database to which a wealth of data sets can be added. The system allows a user defined 5 tier property structure to be created forming of Regions>Sites>Buildings>Floors>Rooms. The IPR is so much more than just a space database. It provides users with instant access to their space database from the home page. The IPR system also uses accurate CAD drawings to provide facility managers with accurate and reliable spatial information; users can enter details such as function, departmental occupancy and costs. Data fields are also user-definable meaning the system and its information capabilities are virtually without limits. The IPR space management software enables custom fields to be created in the space database which can be reported on via the CAD plans using a graphical report engine. This means that an almost unlimited set of data options can be reported on – from how may desks and occupants are in a space, to where asbestos risks are located. Each report also has a user definable legend and hatching option allowing reports to be shown in a prepared format. When a graphical report is executed, a hyperlink is automatically embedded into each space on the drawing. This links directly to the data being reported on, enabling users to navigate to the data by clicking through the floor plan location. Accurate preparation of the CAD floor plan also means that the IPR will automatically calculate GIA and NUA values. For NHS Trusts and Universities, the IPR space management software database has extended ERIC and EMR reporting capabilities to assist with these annual returns. In addition to this, it can also be used as the bedrock GS1 GLN register in the Department of Health’s current GS1 bar-coding initiative. Our Space Management consolidates your data with clear and and accurate floor plans. Maximise your occupancy for a better rate of return. We carry out demonstrations of our space mangement software at your request to ensure you get the most out of our software. If you would like a demo, click here to get in touch with one of our team.